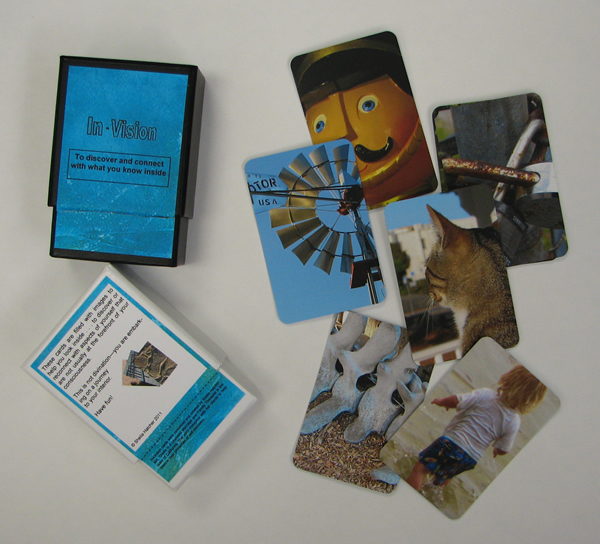 These cards are filled with images to help you look inside . . . to discover or reconnect with aspects of yourself that are not usually at the forefront of your consciousness. This is not divination—you are embarking on a journey to your interior. 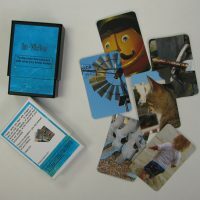 This deck of 50 credit-card sized cards is perfect to carry with you for inspiration and grounding. Box will be black or white—our choice.